I hope you have enjoyed the summer and will be ready to start the school year excited and ready to be challenged! 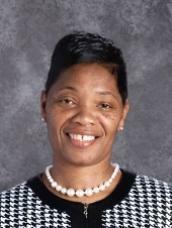 As the new principal, I am elated about this opportunity and the endless possibilities for Hardeeville Elementary School. I am truly honored to be a part of HES and am looking forward to working with the dedicated staff to provide the best possible educational program for our students. My educational background has afforded me the opportunity to work in various capacities: Middle and High School Math/Science Teacher, College Computer Instructor, Assistant Principal, Principal Intern, Title I Flexible Learning Program Coordinator, District Math Coach, and District Math Program Manager for grades K-12. I am certified in South Carolina, North Carolina, and Georgia. I have worked with private schools, universities and business agencies in partnerships for the awareness of Science, Technology, Engineering, and Mathematics (STEM) activities and grant-funded opportunities for teacher and student development. I am married to a retired engineer and STEM consultant. We have five children and four grandchildren. My greatest initiative is to provide the leadership that will facilitate a school environment that will provide differentiated instruction to meet the needs of each student to the best of our ability. The educational program must challenge every student, engage each student by linking previous knowledge and experience and also be exciting to promote further exploration of new ideas. Parents, teachers, support staff, and administration all have an important role to encourage our children to become active learners. It is my sincere desire to provide expanded opportunities for our students to acquire the skills to become productive citizens in a vastly changing society. Through a close and collegial relationship with everyone associated with Hardeeville Elementary School, I am confident we will provide the best educational experience available to exemplify our 2018-19 school’s theme, “Producing Academically-Sound Scholars!” – (PASS! ), where our students will learn and grow, exponentially! * First Day of School – August 20, 2018 – Start time: 7:30 am…. 7:35 am is late!! !